Like Gaudi’s work, the artist began by musing on a person’s bones, and the shape that would best support the human form. The final design is a perfect marriage of form and function. 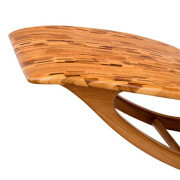 One is easily seduced by the curvaceous lines and drawn in by the depth of the polished wood. A stunning piece of art that will bring joy to those who possess it and wonderment to those that see it. Following the movement of the wood from the top of the backrest to the base, one feels they are watching a cascade of water moving down a varied embankment. 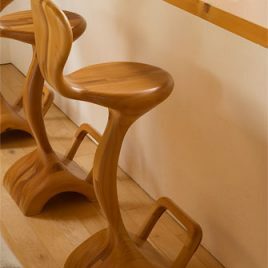 Such is the zen beauty and flow of these carefully sculpted bar stools. 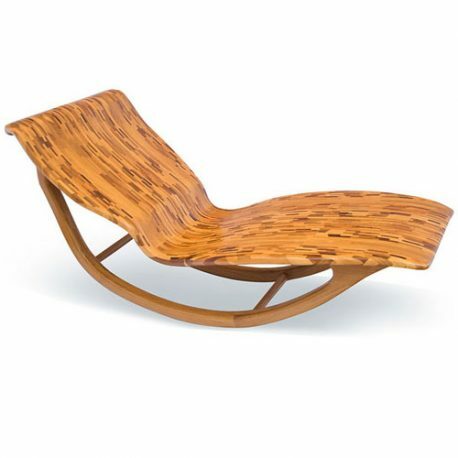 The contours also allow comfortable lounging for long inspired conversations. 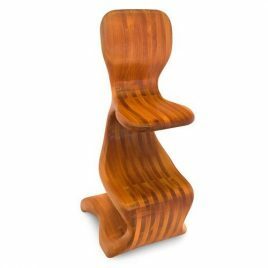 In a respectful nod to Gaudi, this artistic chair emphasizes the contours without compromising on comfort. It originated as a commissioned work and has been embraced by our customers who hold a poetic nature. It absolutely vibrates with the personality of its creator. The artist blended several elements and techniques from his famed repertoire in creating this exquisite piece. 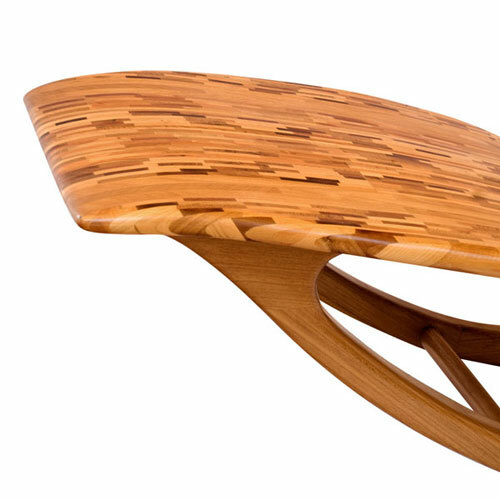 The wood is sculpted in such a way as to emphasize each contour while the curved seat seems to float in the midst like a cloud. It's as if Louis XIV dreamt of Sleepy Hollow before its time. 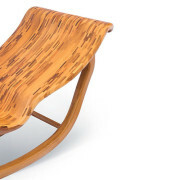 The standard rocker is re-imagined as a dream like object. It's almost human presence makes it appear as if it might move under its own power. One is seduced by the freedom of posture and is invited to nestle beautifully in this form.